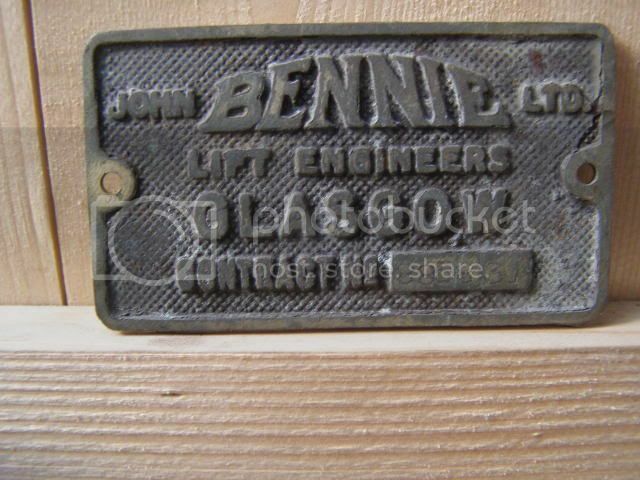 Bennie lifts (Founded by John Bennie) started makeing lifts in the 1900s? Bennie made lifts until 1986 when they got taken over by Kone. They made a lot of lifts in tower blocks around London. Here is a 1930s Bennie. This lift uses the same buttons as many other lift companies at the time. Here is a 1950s style Bennie. This lift also uses the same buttons as many other lift companies at the time. Bennie's 1960s/70s lifts were very sucsessfull, there are still loads of them about. Loads of flats in London have 1960s/70s Bennie lifts. In the 1980s Bennie started to go abit generic. Their tower block lifts were rather plain looking. they got taken over by Kone in 1986.